We are almost 2 weeks into the new year and there have been done big changes in the Kotyk/Dymond household. 1: I’m healthy again and can do everything I used to be able to do, like the gym!! It feels so good to get back! 2: With going to the gym I’ve become more conscious of what we are eating at home ( Sundays are still cheat / date nights ) . We have decided to start prepping meals more often even if it is just for a couple days. Tonight we are going to be making soup for 2 days as we have Wednesday off. I’m sure on Wednesday we will prep enough food to last till out next day off. 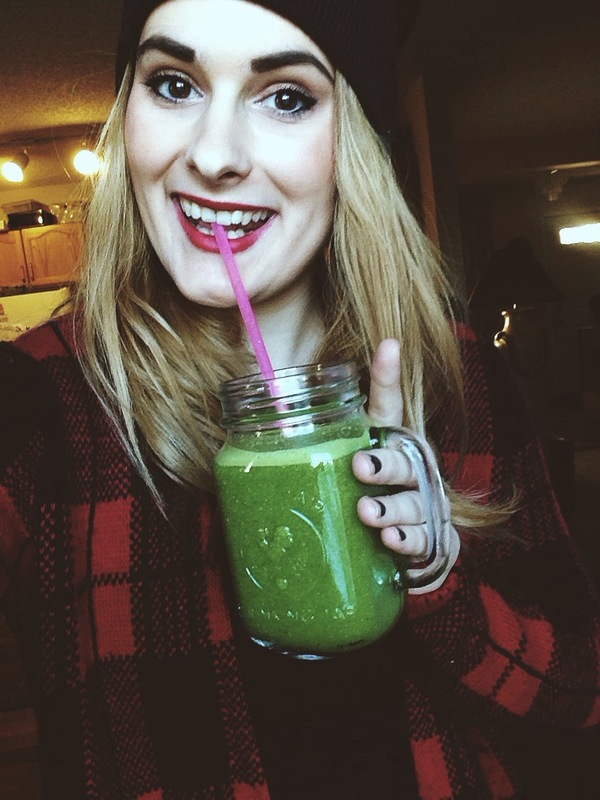 juicing is my favourite thing right now!!! Green juice in particular. This afternoon I made a green juice and it was so refreshing and it just tasted healthy!! What you need to make your own is listed below! There you have it!! Super quick and very healthy! !